Following the darkly thrilling début novel Book & I by E-L Cartwright, there comes this absorbing collection of short stories. 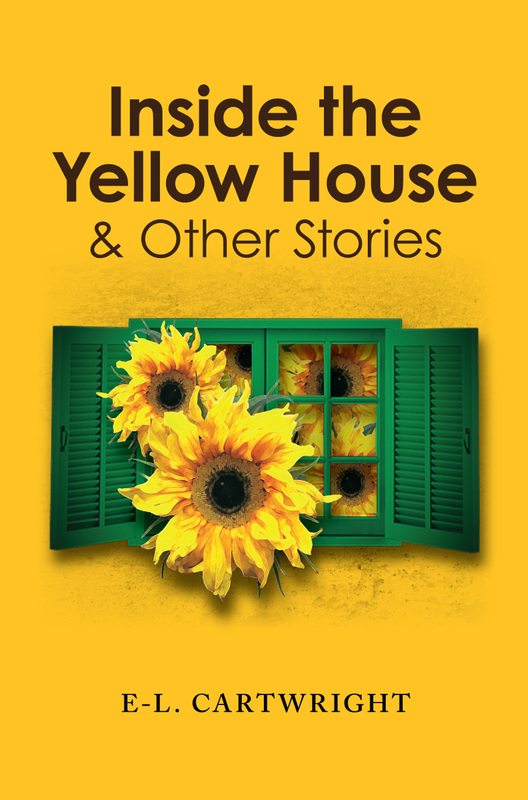 Inside the Yellow House & Other Stories continues to explore previous themes of obsession and perception through the lives of each character. Extract from the short story: "Inside the Yellow House"
Vincent, a young modern day artist who shares the same first name as Van Gogh, finds himself inexplicably terrorized by the colour the famous artist loved most: yellow. It was six months before I told her. Didn’t want her thinking I was ... imagining things. Usually, I could ignore It, but though I worked and tried for long periods not to see through my peripheral vision, I was aware, as if someone was standing close by, that something was in the room while I was painting. Although the walls were blue and the floor mainly green, the overriding impression was of yellow, not a happy, vital yellow but one that had a clinging thickness to it, suffocating. Did Van Gogh really love his yellow house? More than the asylum, I suppose. The shutters are dark viridian-like leaves opening inwards, not inviting but propelling me back into the room. I’m going nowhere. That night, Jo said I’d woken up, or appeared awake because my eyes were open and I’d walked across the room to the window and started looking for a way out, fumbling with the locks and stepping back then going forward to try again. I did this five or so times when she got up and led me back to bed, not worried that I would fall (just three feet to the ground), but wondering where would I go? I couldn’t tell her. I had no memory of getting out of bed. I tried my best, from then on, not to see It but then came summer and It was everywhere. I resented the sunflowers in the shops, on cards, in windows, in galleries; their colour, a bludgeon to the senses, an affront to morning hangovers, their brightness surely deepening by contrast, the mood of the most depressed. Why he loved them; I’ll never know. They grow strong and tall and when you look away they turn their dark round malevolent faces on you. Copyright © 2015 E-L Cartwright. The Owlight Creative logo, name and related indicia are trademarks of and Copyright © E-L Cartwright. All Rights Reserved.